Nanda Abella - Nanda is an Argentinean actress based in New York; She speaks Spanish, English and French. Nanda lived in Buenos Aires and Paris before moving to New York. She has been studying acting for a decade with great teachers such as Susan Batson, Michael Beckett, Lily Lodge, James A. Lee and Pompeyo Audivert, who provided her with different acting tools and approaches. 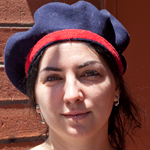 She also has a graduate degree in International Cooperation and Development from Sciences Po Paris. After many years of professional work related to the world of international affairs, Nanda decided to focus on her acting career. This is a brand new but exciting decision. 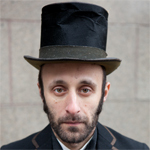 Mitchell Abidor - Mitch is a writer and translator living in Brooklyn. 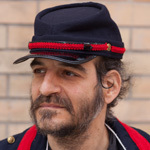 He has published two books on the French revolutionary tradition: The Great Anger, Ultra-Revolutionary Writing in France From the Atheist Priest to the Bonnot Gang, and Communards, The Paris Commune of 1871 As Told by Those Who Fought for it. Michael Paul Britto - Born and bred in Brooklyn, Michael Paul Britto graduated with a BA from the City College of New York. Michael's works range from videos to digital photography, sculpture, and performance. Britto has had residencies at the New Museum in New York as well as Smack Mellon, The Marie Walsh Sharpe Foundation and LMCC. Michael was been featured in shows at El Museo del Barrio, The Studio Museum of Harlem, the Zacheta National Gallery in Warsaw, The Kitchen and the Victoria and Albert Museum in England. 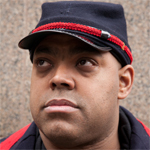 Britto has been written about in The New York Times, Art In America and the Brooklyn Rail. Julie Delaurier - Julie Delaurier identifies — first and foremost — as a worker. Raised by FDR-Democrats, she spent her formative childhood/teen years apprenticing at Missouri Repertory Theatre (now Kansas City Rep). She moved to New York for formal training at Circle in the Square Theatre School, had a lead in a Broadway flop, was a day player on a sit-com, narrated a National Public Radio series, did some commercials, more regional theatre and off-off-Broadway – all interspersed with a variety of rent-paying jobs. Upon adopting two boys, she became a wage/health insurance slave to an international law firm. She is grateful to Zoe Beloff and the Commune for this opportunity to return to a true and noble place. Michael Friedman - Mike is an adjunct assistant professor in biology, currently at Queens College and St. Francis College. He has been an activist since the civil rights and antiwar movements, most recently in movements to defend and reform public education and OWS. He has no acting experience: however, his son is an avid thespian and his inspiration. Carlo Fiorletta - Carlo Fiorletta's movie credits include Tony Giaccone in the feature film Surviving Family, director: Laura Thies, screenplay by Mara Lesemann. He also was Executive Producer and Casting Associate. He starred in the horror short Foreclosed, directed by Jeff Bellantine, and many other short movies. Stage credits include Andersen in Mario Fratti's Iraq/Blindness and Kaplan in Simcha Borenstein's Bogosity directed by Noemi de la Puente, DQT at the Soho playhouse. Carlo directed Gary Morgenstein's A Tomato Can't Grow in the Bronx and Mad Mel and the Marradians and Cinematographer: "Chemistry" webisode, Ron Piretti, director. Pietro Gonzalez - Pietro is an actor and a Drama teacher. He has worked in several theaters around the United States including La Jolla Playhouse and The Delaware Theatre Company. In New York City he has appeared in several productions around the city. His latest production was with LaMicro Theater's production of Nocturnal Creatures by Juan Mayorga. He has also appeared in film, television and voiceovers. 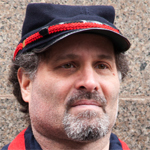 He is a founding member of LaMicro Theater. He is happy to be part of this project and supports the 99% and their demands for justice! Joy Kelly - Joy is an actor, director as well as storyteller. As a storyteller, she has performed in several venues including The New Jersey Storytelling Festival and Story Grove at the Clearwater Festival. 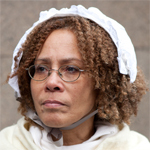 As an actor, Joy recently performed in "Seven Against Thebes" as part of New York City's Summerstage series. 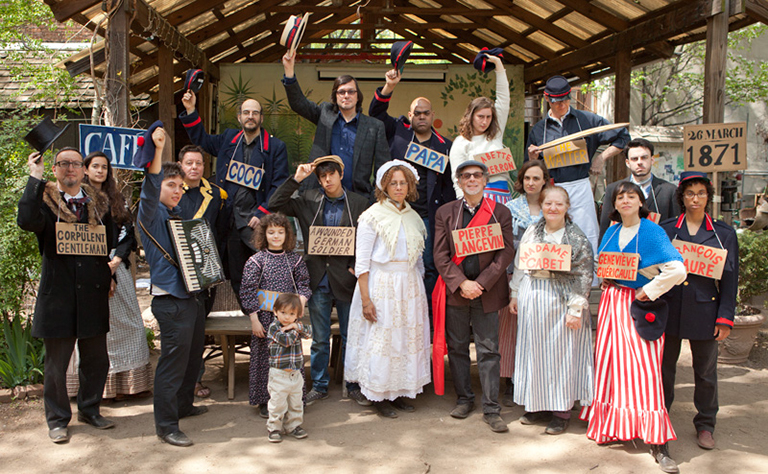 Joy also directs for Theatreworks, USA. Tony Lewis - Tony has been a health care administrator for over 30 years. His wide-ranging career in Health and Social Services began in London, England. Recognized as a leading authority in his field, Tony acted as a consultant and panel advisor on the needs of family caregivers for the British Broadcasting Corporation (BBC) in London. During this time, driven by a desire for revolutionary societal and economic changes, he became an active participant on the fringes of the political process. After having played his small part in the demise of Margaret Thatcher and falling in love with a New Yorker, he arrived on these shores in 1991. During this time Tony has worked extensively with patients and their caregivers. He strongly believes that service provision should meet individual and community needs and that where change is required, it should be the agency that yields. 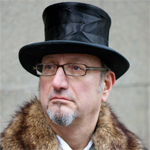 Greg Mehrten - Greg has worked with many directors over the years, including JoAnne Akalaitis, Zoe Beloff, Anne Bogart, Lee Breuer, Kyle DeCamp, Jonathan Demme, John Jesurun, Elizabeth LeCompte, Ruth Maleczech, Christina Masciotti, Richard Maxwell, Brooke O’Harra, Rosemary Quinn, Bill Raymond and Linda Hartinian, David Schweizer, Ron Vawter and Marianne Weems, and Bruce and Norman Yonemoto. Cecilia Lynn-Jacobs - Cecilia Lynn-Jacobs received her BA in Theater from Wesleyan University, and moved to New York less than 48 hours later. In the months that have followed, she has continued to study theater and dance at The Studio/New York, City Center, and Dance New Amsterdam and has appeared in Courtney and Kathleen (Petals/Angela) and School for Salomes (Salome Student). She can often be found preparing auditions, interning with the Wooster Group, playing Monster with Brooklyn kindergartners and re-reading cookbooks. 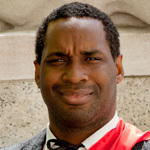 Brian Pickett - Brian currently earns his keep teaching theatre and speech at Queensborough Community and Brooklyn Colleges. He believes in public space, music, and life after capitalism. Vive la Commune! 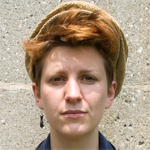 Reka Polonyi - Reka is a social theater practitioner and Clown Doctor working in the field of theater for human and migrant rights. 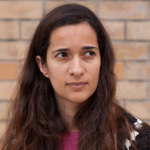 She works with displaced immigrant communities, asylum seekers, refugees and internally displaced in Hungary, the UK and Ecuador. She facilitates workshops that encourage community empowerment and rights awareness. 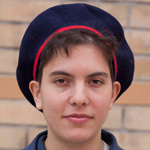 She is an active member of OccupyWall Street, NYC. 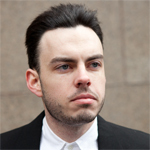 Sean Shannon - Sean is a playwright and actor. He has performed professionally in Shakespeare's Henry IV Parts I and II at Seattle Shakespeare Company and Brecht's Galileo at Strawberry Theatre Workshop. Ahuva Willner - Ahuva lives in Baltimore where she has been involved with the Occupy Baltimore movement. She camped out at McKeldin Square for the first couple months of the OB encampment, which served as a great crash course on the social and economic situation of her hometown, as well as alternative forms of organizing and governing. Ahuva spends a good portion of her time studying circus arts and training on trapeze. She is currently working on ways to combine her political views and personal ambitions and share them through performance. Joanie Fritz Zosike - Joanie performed in the U.S. and abroad with The Living Theatre in Anarchia, Utopia, Mysteries and Smaller Pieces and Humanity. 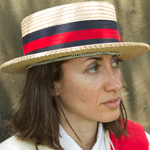 As Co-founder and Co-director of Action Racket Theatre, she performs and conducts workshops for people from 2 to 92. She recently co-directed a Bronx tour in public spaces of Words From the Melting Pot...a saga about culture, heritage and immigration performed by actors with disabilities from Beth Abraham Adult Day Health Care. She's one-fifth of the poetry collective Five Easy Peaces and an actor/director with DADAnewyork. Most recently Joanie played "The Duchess" and "Dee" in Beautiful Soup's Alice au pays des Merveilles and "Mindy" in COTE's Decadent Acts. 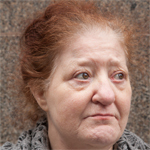 Joanie serves on the NYC Peoples Life Fund Board and was a long-time THAW member. She's grateful to Zoe for this opportunity to connect with OWS on stage as well as in the streets. 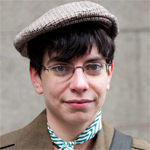 Ellen Scott - Ellen is an Assistant Professor of Media History at CUNY Queens College. Her work engages the interface between African American civil rights and film industry between 1930 and 1960. Brecht figures in her work and teaching since his theories of "alienation effect" and "epic theater" linked art, entertainment, and political action in truly inspiring ways. Douglas Johnson - Doug last appeared on stage in a college production of Ionesco's Macbett. His return to acting is one of the oddest but least significant repercussions of the global economic crisis. 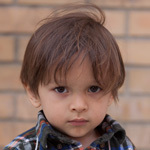 Kenji Johnson - Kenji is the youngest member of our Commune. 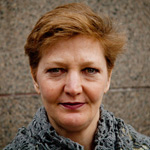 Deborah Matzner - Deborah is an anthropologist who explores media making as cultural production in Mumbai, India. This is her largest acting role since a brief and forgettable walk-on part on a Hindi-language television program during her dissertation fieldwork. In the present piece, she hopes her lack of acting chops contributes to the defamiliarizing effect Brecht intended his work to achieve. 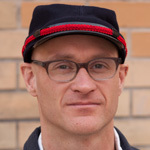 Aaron Beebe -Aaron is an artist and the director of the Coney Island Museum. Moving between installation-based practice and works on canvas and paper, his artistic work explores notions of history, memory, foreignness, nostalgia and sentiment. His art and scholarship has been featured in exhibitions and publications both nationally and internationally. With a focus on the aesthetics of the institution and the creative sciences, Aaron's artistic work is informed by a career spent immersed in museums, restoration studios, and archives. Whether writing cultural criticism or performing on stage as curator and museum professional, he sees himself as an artist who's practice is inherently performative. His essays can be found in numerous publications, and his visual artwork can be found in several private collections. His drawings and paintings have been shown in galleries in New York and Santa Fe, and his installations have been awarded grants from the Andy Warhol Foundation for the Arts and the Dedalus Foundation among others. School, where he performed in Rent, Spelling Bee, Waiting for Leftie, The Crucible, Grease and Tommy. He was inducted into the International Thespian Society in June 2010, and attended the ITS summer high school program in June 2011. He is currently a freshman at the State University of Buffalo. Jay Dobkin - Jay is a nice autistic anarchistic vegetarian Jewish boy who is an actor, editor and writer. He is also the dramaturge of The Living Theatre, with which he's been performing since 1997, most recently playing Aaron in Korach and Socrates, Jesus, and Gandhi in The History of the World. As he was in both of those plays, in Days of the Commune he is proud and delighted to be performing alongside his daughter, Miranda. 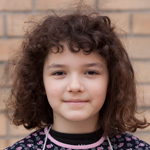 Miranda Dobkin - is a wonderful performer who has already worked with The Living Theatre playing a child. Here is a short clip of Miranda in The Living Theatre's production of "Korach". 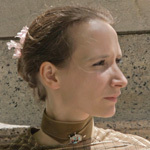 Marie Weigl - Marie is a writer and actress who lives in New York and Berlin. 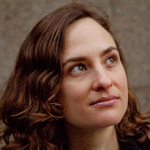 Inas Kelly - Inas is an Associate Professor of Economics at CUNY Queens College. She conducts research in demand-side health and labor economics, with a focus on economic decisions surrounding nutrition and physical activity. She is delighted to be involved in a project seemingly far removed from her usual work and yet so relevant at the same time. Her favorite tales can be found at dedlly.com written by a husband who makes every day magical for his wife. school's production of Guys and Dolls. 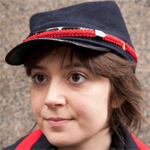 Hannah Temple - is an accordionist, pianist and baritone horn player who plays with the Rude Mechanical Orchestra, the Suspicious Packages, and a variety of named and unnamed street bands. You can contact her for accordion lessons, to score a show, or to bring music to a protest at hannah.temple@gmail.com She is our musical director and one of the accordionists in our performances. Melissa Elledge - Melissa never set out to be a professional accordionist. She moved to New York City from New Orleans in 2004 to pursue her M.A. in Piano Performance at NYU. After getting her degree, she picked up the accordion as a novelty addition to her Classical music background, and immediately fell in love with the instrument. Since then, she has toured the country with a goth band, played a tango on a mausoleum, appeared in independent films and TV programs, and worked in theatre, dance, and performance art productions. She plays in a variety of local bands and can be found most days busking on a subway platform. She also models part-time for painters and art schools around the city. Here she is on Facebook. 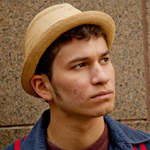 Nathan Koci - Nathan is a Brooklyn-based multi-instrumentalist originally from Charleston, SC. Performing on the horn and accordion, as well as other brass and keyboard instruments, Koci is an enthusiastic advocate of music by living composers. 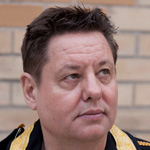 He has had the humble pleasure of performing with Alarm Will Sound, Anneke Hansen Dance, Dither, Ensemble Modern, the Garage Cuban Band, New Music Collective, Red Light New Music, Signal, TILT Brass, Your Bad Self, and ZAHA. 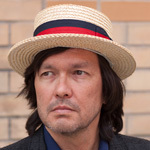 Koci is also an active composer, writing for theater, dance, film and concert. He resides in Brooklyn with a darn good dog, Audrey. 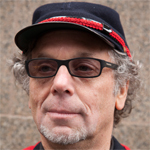 Bob Goldberg - Bob is a composer, performer and music educator, born in New York, and based in Brooklyn. 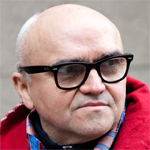 He has studied piano, composition and electronic music, and performs mainly on the accordion. 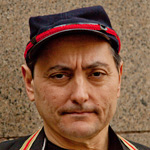 Bob has been a member of Washboard Jungle, Le Nozze di Carlo, and The Corner Store Dance Company, and currently leads the Famous Accordion Orchestra. He has composed scores for film, dance and theater and written and produced jingles and songs for Nickelodeon and Disney Channel. He directed the accordion ensemble for Martha Bowers' "Angels and Accordions" at Green-wood Cemetery, and has created site-specific pieces in streets, gardens and subway stations. He is a graduate of Sarah Lawrence College and Brooklyn College. Zoe is an artist and a filmmaker. She considers herself a medium, an interface between the living and the dead, the real and the imaginary. Her work has been featured in international exhibitions and screenings; venues include the Whitney Museum of American Art and the Museum of Modern Art in New York, the M HKA Museum in Antwerp, and the Pompidou Center in Paris. Her most recent exhibition in New York was Dreamland: the Coney Island Amateur Psychoanalytic Society and its Circle 1926-1972 at the Coney Island Museum. She earns her living, teaching in the departments of Media Studies and Art at Queens College. Erica is a costume designer, illustrator, and artist in New York. After graduating from the Rhode Island School of Design with a BFA in Children's Book Illustration, Erika lived in France for several years and then Los Angeles. In LA, after working as a textile designer, she combined her training in visual storytelling and love of historical costume and textiles, and started working on films in various capacities in the costume department. She has worked for and learned from some incredible artists such as Oscar-nominated Costume Designer Danny Glicker and Oscar-winning Costume Designer Colleen Atwood. After moving to New York in 2004, Erika has designed over 12 films, 2 plays, numerous commercials and music videos. She has worked with actors such as Susan Sarandon, Alec Baldwin, Eddie Redmayne, Christopher Eigeman, Timothy Hutton, Rory Culkin, Emma Roberts, Blake Lively, and Chloe Moretz, to name but a few. 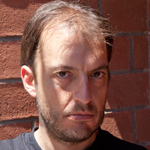 Eric is a long time collaborator on Zoe's projects, as a cinematographer, lighting designer and technical director. Here he is also working on this website. He has many years experience working in film, and lighting for live performance, as well as a programmer for web and other media.